This week I was honored to do the Chris Amburn interview. He is a good friend of mine that (unfortunately) just moved out of state. It is nice to keep in touch with him and hear about his latest game creations. This weekend he is at Midwest Game Fest showing off his newest prototype, “Starclimber”. How did you get into gaming? – My father was really into comics, video games, and tabletop roleplaying games when I was growing up. So I was exposed to a lot of that through him. When I was a kid we would go to comic book stores and I would be really interested in the miniature games and collectible card games (CCGs). In a condensed way, going to comics and gaming stores to play Magic: The Gathering every week is how I was exposed to designer board and card games and my interest grew as I became more aware of them. What is the name of the first game you have published? – Shootout! The High Noon Card Game was my first published product. It’s a small single deck card game for fast-paced cowboy duels with friends, family, and groups. Since it was my first time I wanted to produce a game that was small in scale to help me learn by doing. When was the first time you remember wanting to create a game of your own? – I remember making a card game as a middle school kid on index cards with a classmate. It was a 1 on 1 game about space marine combat with equipment and tactics and other types of cards. I also had a lot of interest in making my own roleplaying game (RPG) system as well. In high school I actually made a lighthearted group card game about rural zombies called “Acres of Undead” that actually made it to the point of having my friends playtest it on multiple occasions and iterating on it but it never really panned out. These experiences probably seem pretty trivial but they actually helped me discover the foundations of prototyping and game design on my own. The first time I wanted to make Shootout! in particular was in College when I would go out to get pizza with my friends. We were all playing Magic at the time so we’d often try to play a game before the food arrived but it’s such an involved game that even when the food arrived everyone would want to try and either put the game on hold and eat around it or finish the match while the pizza got cold. So I started bringing Lunch Money to the pizza place instead. It’s a faster and lighter card game that didn’t carry any of the investment associated with deckbuilding and setting up combos and strategies in early turns. It’s just about brawling with everyone and the last little girl standing wins. Everybody had a great time but nobody had a problem cutting a game short to eat. It was a fun game, but not without its quirks and flaws. The same as any game of course. It was then I had the idea to take that game’s concept and try to make my own game that would fill that niche even better. What steps did you take in planning out your game? – I started with a notepad document for brainstorming and writing out parts of the design as they come to me. I still start every new design the same way, actually. I have a pocket notebook that I carry around and write game design idea snippets in now, but I don’t really consider a project started until I sit down and compile those along with the first draft of all the cards, components, math involved, etc. in notepad. Was it difficult finding playtesters? How did you find them? – I had a prototype for Shootout! for a couple years before I ever published it. I would play it with friends, family, and girlfriends fairly often so I didn’t feel like I had a hard time of it… though I don’t think I would feel that way if I was doing it again today, as I wouldn’t have the patience to slowly work on a little project for years! I’m sure the size and scope of Shootout! made it a lot easier to find players and test the game than most people’s projects. It was intended to work as well with 2 players as with more and to be easily understandable for people without any gaming experience so any human being was a valid playtester! Before I published the game I had to ramp up playtesting and get the game in front of more people of course, and for that I took it and playtested at local gaming conventions and national tabletop day events. If you have published your first game, how did you go about it? – I self published Shootout! because I had done a lot of research and read repeatedly that you don’t make very much money selling a game to a publisher, nor do you make very much money self publishing the game for yourself. I just figured that if I’m not going to make much either way I’d rather be able to keep my name on the product and put in the work myself in order to determine the success of the game in the market. 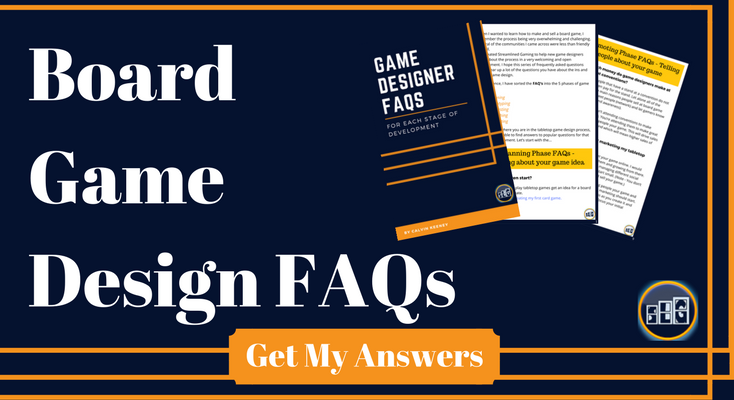 I researched the companies that could print the game, commissioned an artist for the pictures on the cards and set about creating as competent a Kickstarter page as possible in order to fund the initial print run. How many hours do you think you spent promoting your game? – Before and after the game has come out I have spent hundreds of hours promoting it. I couldn’t really count them all at this point. I do feel like I spent a lot of hours inefficiently, however, and if I could do it again I would have used a lot more of that time to reach out to bloggers and reviewers with an audience interested in my type of game. Rather than simply showing it off at conventions and hoping to convince backers or generate word of mouth that way. Where did you promote your game? – Apart from local gaming stores in San Antonio, Texas I promoted Shootout! at PAX South 2015 and 2016, Owlcon 2015, San Japan 2015, Chupacabracon 2016, and BGGcon.Spring 2016. From this experience I’d recommend quality over quantity when it comes to picking conventions to promote at! Larger conventions specifically aimed at your target audience will be way more valuable than tiny local conventions or ones that do not focus on board/card games for the connections you will meet alone. Small conventions are great for practice runs, building your presence in the community, or having a good time if they are local and convenient to you however! What are several things you wish you did differently when creating your first game? – There are only a few things I would have done differently for Shootout! : I would have commissioned a piece for the box art rather than relying on my shaky graphic design skills for it, for one. Mostly I just wish I had even more experience with the wide world of card games at the time. I’m not very happy with the card ‘Threat’ which causes the next player to skip their turn when it is played. At the time I put it in because I thought it was a standard card game staple but in retrospect I would really have liked it to be something more fun and interesting. When I play Shootout! (which I still do quite a bit!) I take that card out of the deck to be perfectly honest. When/If a second edition of the game is printed the effect on that card will be something else. Why did you set out to create your first game? – I created Shootout! for the same reason that I run RPG (Role Playing Game) campaigns for my friends. Or the reasons I used to organize video game nights and tournaments in college – I want people to have a good time and it makes me happy to be able to facilitate that. I want to be able to provide fun and happiness and an excuse for people to get together and get to know each other and spend hours of quality time together. I think the best way that I can do that is by creating more board and card games that can be enjoyed by everyone in the world. What is your favorite aspect of game design? – I love figuring out ratios or balance in a game. I like fine tuning a system to be as clean, elegant, and engaging as possible. I love trying to find that razor fine point where a game is satisfyingly challenging and entertaining without being overly simple or complex. What is your least favorite part of game design? – My least favorite part of game design is the prototyping. Tedious busywork tends to make me procrastinate bad! Additional Comments – The most important thing if you’re passionate about it is to just do it. Do it and keep doing it and do it again. Shelve or toss the prototypes that don’t work out, polish and refine the ones that do and just keep at it. Be an active part of the community, be available and helpful to others, and do your best to make your presence felt in relevant, interesting, and entertaining ways. Unless you are coming into this with a large following of fans already or you get exceedingly lucky off the bat, then success will only come through dogged determination, completing your projects, and achieving your personal goals. Thanks Chris! It was really awesome to get to hear your insights. I enjoy playing your games and testing out your new ideas. Don’t forget to join Chris and I on his Facebook page. Or see what’s new on his website.